Oh no, which way do I look! 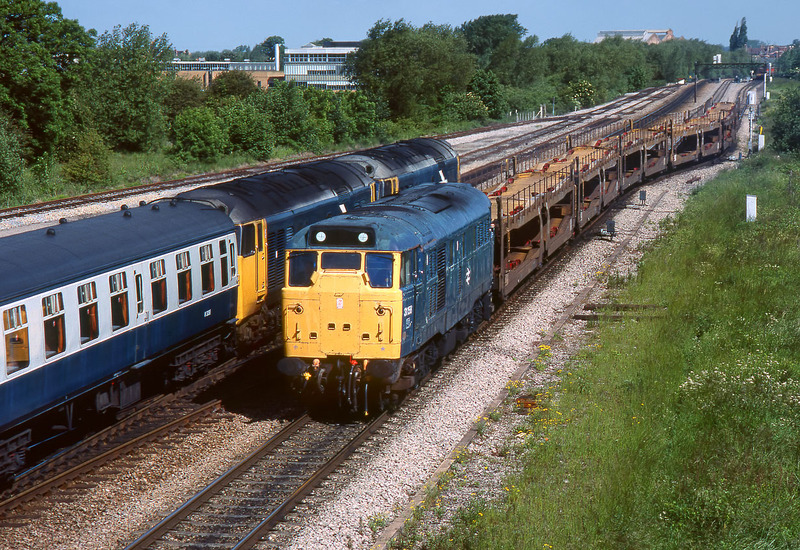 A worrying moment at Hinksey on 14 June 1983 as a Class 31 approaches from one direction, while a pair of Class 50s come from the other direction. Luckily there was just enough time to get both pictures. 31158 had just gone up to Oxford South Yard light engine and is now returning with a short rake of cartics, destined for Morris Cowley. Obviously a Z headcode working, as this is not in the working timetable. Heading in the opposite direction are 50004 St Vincent & 50034 Furious with the 1A22 08:50 Paddington to Oxford service.